Master's Degree in Computer Software and Theory, Institute of Computing Technology, Chinese Academy of Sciences, Beijing, China, 2010.09-2013.07. 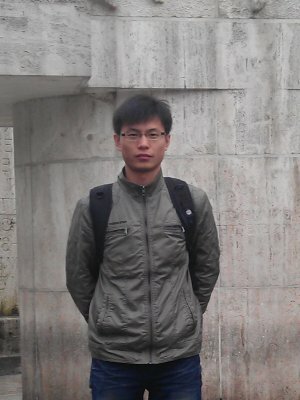 Bachelor's Degree in Software Engineering, Beijing Institute of Technology, Beijing, China, 2006.09-2010.07. For more open-source works, please access my GitHub profile. Optimization for Join Operation of Big Table on Hadoop and Hive (2012.05-2012.12): Based on astronomical cross match requirements, propose Hash-based Join Operation Optimization for two big tables, and accomplish that algorithm on Hadoop, as well as join optimization for Hive. We achive 6.9 times performance improvement than Common Join for 0.43 billion records each table of the real astronomical data. Parallel Game Tree Search on GPU (2011.10-2012.03): Accomplish the branch calculation and leaf calculation of game tree on GPU, optimize the parallel computing. Effect: the speedup of branch calculation on GPU can reach 35 times and the speedup of leaf calculation can reach 624 times, without other overhead. Propose and accomplish a new parallel game tree search algorithm based on GPU, and its optimization. Effect: the speedup of parallel tree search can reach 91.5 times at most, without considering pruning; for pruning, the speedup can be 7.0 times. The program of computer game wins the gold medal of Connect6 in the 16th International Computer Olympiad in 2011. LingCloud: for the cloud computing system software mentioned above, I focus on the monitor module of LingCloud system; normalize the data format and the applicant interface in this module. With Bridge Pattern, support several open source monitor system, such as Ganglia and Nagios. Implement loosely coupled with other parts of the system, and support long-term and stable operation in productive environment. Assist developing resource management module, accomplish cluster allocation and other partial functions. Assist accomplishing code refactoring, and opening source under Apache license. HBase Query Optimization (2010.02-2010.08): Accomplish SQL-liked query interface development of CCIndex based on HBase, support SQL-like query and the And, Or, Not logical operator, as well as bracket operator. Optimize the query composition; reduce the overlap query region for the same key. Computer Game Theory (2008.10-2009.12): Write the computer game program of Connect6; accomplish its move generator, shape statistics and dynamic opening book modules. With Genetic Algorithm, optimize the factors of evaluation function, and increase the AI of the game. This program wins the gold medal of Connect6 in 14th International Computer Olympiad in 2009. Accomplish the computer game program of the Phantom Go. Using the Monte-Carlo Algorithm, shield the complexity of the game Go and increase the AI. This program achieves the silver medal of Phantom Go in 14th International Computer Olympiad in 2009. Liang Li, Hong Liu, Hao Wang, Taoying Liu, Wei Li. A parallel algorithm for game tree search using gpgpu. IEEE Transactions on Parallel and Distributed Systems, 07/2014. Liang Li, Dixin Tang, Taoying Liu, Hong Liu, Wei Li, Chenzhou Cui. Optimizing The Join Operation on Hive to Accelerate Cross-Matching in Astronomy. IEEE HPDIC 2014. Liang Li, Hong Liu, Peiyu Liu, Taoying Liu, Wei Li, Hao Wang. A Node-based Parallel Game Tree Algorithm Using GPUs. IEEE Cluster 2012. Liang Li, Hong Huang, Litao Deng. Dynamic opening-book in computer games. Control and Decision Conference (CCDC), 2011. Liang Li, Hanming Chen, Guixiang Wang. Camera Calibration Based on Circular Markers. International Conference on Computational Intelligence and Software Engineering, 2009. Volunteer of the Hadoop in China conference, Beijing, China, 2010-2011.